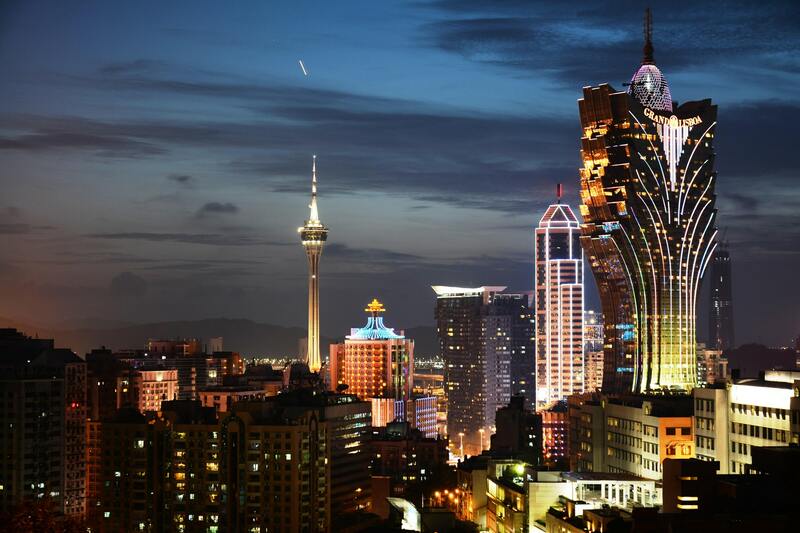 Macau is a glitzy, glittering hot spot that millions of tourists visit every year for the unique combination of multicultural Chinese-Portuguese heritage and modern luxury found there. It’s a fascinating place to be, and whichever direction you turn, there is always something new to see and do. With regular and affordable flights between Singapore and Macau, it’s the perfect holiday destination if you fancy spending the ultimate city break in this multifaceted metropolitan. Whether you’re drawn to the sparkling lights of the mega-casinos or fancy a stroll through the UNESCO World Heritage Centre, there’s plenty to satisfy every appetite. But make sure to pack a camera! So, where are my top recommendations for this dazzling place? Read on to find out. Celebrities like Kim Kardashian and Victoria Beckham hit the headlines recently for indulging in so-called “vampire facials” all in the pursuit of beauty and eternal youth. Well, I’m not sure about these Dracula-themed remedies, but there are plenty of unusual, and much more pleasant, beauty treatments on offer in Macau. The Macanese Sangria Ritual stands out as being something special and takes place at the Grand Lapa Spa where it’s a hit with newcomers and returning guests alike. For this treatment, they use every part of the grape in the unique Swedish massage and relaxing wine bath that make up the ritual. You’re even served a refreshing glass of sangria while you unwind. Its creators claim that while also honouring Macau’s mixed heritage, it also detoxifies the skin. Macau Tower is hard to miss as its 338-meter height dominates the landscape. It’s hard to comprehend how tall it stands, looking up to the top of its crowning needle. Views from the top are breathtaking, but how about jumping off? If you want to satisfy the daredevil in you during your trip, you needn’t look much further than the highest bungee jump in the world. Soar through the air above the neighbouring skyscrapers and experience a bird’s eye view of the world before rebounding back up. It’s an eye-opening opportunity that you should not miss. Macau’s Portuguese history is well-documented, and the culture of this city is still suffused with Portuguese words, food, customs and architecture. A wander through the pastel-hued buildings of the St. Lazarus Quarter will have you almost feeling like you’re in a sunny European city rather than a Chinese peninsula, and the fusion food on offer everywhere is sure to tickle your taste buds. The best culinary news is that Portugal’s famous pasteis de nata abound here and have been adopted completely as a local dish. These delicious little parcels of pastry and egg custard are the perfect sweet treat to enjoy any time but taste best fresh from the bakery. Macau is a city full of unique experiences, and perhaps that’s why it’s become the go-to destination for gamers of all kinds. The splendid City of Dreams entertainment hub is a must-visit with its top-of-the-line shopping mall, luxury hotels and even a replica of Venice as well as the fully fitted casino. The city offers such a variety of games to visitors and has built a great reputation as welcoming and cutting edge as well as glamorous that it’s fast overtaking Las Vegas as the favorite place to hit the tables. If you want to see what all the fuss is about, you’ll find table games that cater to every level. Like any major city, Macau can be fast-paced, loud and perhaps a touch overwhelming, but therein lies its charm. This city doesn’t do things by halves, as it has a go big or go home mentality. If you do find yourself craving a little peace and quiet, however, you can always head over to Coloane, an area with a more relaxed, easy-going atmosphere where you can stroll on the beach and collect your thoughts. However you choose to spend your trip, there’s one thing for sure: Macau will be a place you’ll never forget.